As mentioned in the previous posts in this series, if you are an adult who speaks English as a second language, the English that you learned in your school classroom was likely to have been British English. This may cause confusion about certain pronunciations if someone is living in the U.S. and/or trying to learn American English. There are many differences in pronunciation between American and British English (and differences within these forms too -of course, neither British nor American English pronunciation are a monolith- but that’s a more complex topic for a different day. So here, I’ll speak in general terms, for the sake of simplicity.) The previous blog posts linked above all pointed out patterns in differences between American and British pronunciation. This blog post will point out the most common examples of words that are pronounced differently in American versus British English. Some of these words fit into a pattern, but many of the pronunciations of these words are unpredictable and simply need to be memorized. These words are split up into two categories: Words Pronounced Differently in American vs. British English, and Words with Different Stressed Syllables in American vs. British English. A “stressed syllable” is the syllable of a word which is emphasized – in other words, the syllable of a word which is said a little bit louder and a little bit longer than the other syllables in the word. To hear and practice these examples, please listen to the audio file at the bottom of the page. 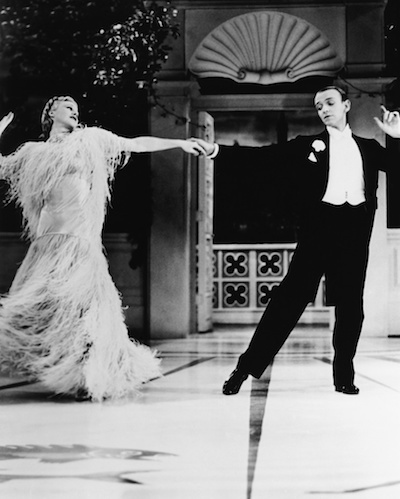 Although, personally, I like to take my advice on how to pronounce ‘tomato’ from Fred Astaire and Ginger Rogers. Practice these words at home with this audio file of the word list above! Simply listen and repeat while reading along.